Good morning everyone and welcome to another Sample Sunday. Earlier this week I posted on my blog, ‘What price eBooks? A Writer has to eat’. Today I’m going to continue writing about eBooks as I believe; this is the BEST TIME EVER to be a writer! Why? Well because we as self-publishing writers are at the forefront of this newly discovered world of literary works. I’ve spent some time this week reading articles and talking to gurus in publishing, and they almost all tell of an era in which there are some amazing shifts in power and change within the ‘established’ book publishing industry. So I believe it’s US, who are leading the way and making sweeping changes with eBooks. Digital writing and publishing, hand-in-hand with social networking can only revolutionise the book business as a whole. And by revolutionising I don’t just mean by how books are written and published. No, I mean how the self-published author can shift the power from established publishers to the author, giving us the upper hand. Traditional book publishers can’t really predict what will sell or not, and the old methods of selling and marketing a book no longer work – and people are now saying so. Enter the author. If you as an author connects directly with the reader, that’s great. Readers like to get to know their favourite authors, it doesn’t matter who published the book! 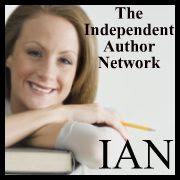 Authors today can reach their market to connect directly with interest groups, book bloggers, websites, to use Facebook, Twitter, YouTube, and other social networking channels. Authors can reach precisely the readers who might be interested in knowing about their work, whether it’s fiction, a literary novel or genre thriller, sci-fi and mystery, paranormal or rites of passage stories, using this new form of self-marketing. The author can now reach readers and create visibility and connection online. Publishers have finally cottoned on to this and they now expect all authors on their books to be highly involved in their marketing plans, and to be willing and able! So as authors we can ask ourselves this question. If publishers are now relying on the author to sell their own books, why should authors suffer the long, tedious, job of finding a literary agent and then hopefully on to selling your book to a commercial book publisher? Many self-published authors have done well and sold their books in the thousands – and that’s why many more authors are self-publishing. Self-publishing is now the most powerful and effective device for test marketing your book around. If you can sell thousands of your books on your own, you’ve proved there’s a market for your book. More importantly, you know how to reach it. Conversion from self-publishing to commercial publishing is becoming more common, but many self-published authors, don’t want to convert. These want to control everything themselves. By this I include: the content, design, marketing of their book and the division of royalties. Publishers pay 10-20% royalties, whereas a self-published author can receive 70% or more of list price and make more money. Some top agents now represent leading self-published authors and have begun to help self-publishing authors get professional outside developmental and copy-editing. But at the end of the day you still have to write a good book and you need to put as much time and energy as you can on self-marketing. You need to be online with your website, you need to blog, tweet, connect on Facebook and make short videos for YouTube. You have to be visible, and let people know about yourself and your book. However you do it, if you want readers to know about your book you have to sell it yourself. It’s your job. It’s essential if you want to be a successful writer in today’s world. Self-publishing offers more freedom and control and with often a quicker path to the market, and a healthier share of the profits. But the reality is that it’s just as hard as ever to write a good book. A book that generates and sustains the buzz, a book that people want to tell their friends about and a book that produces major sales. That hasn’t changed – but I truly believe that today is still the best time ever to be a writer. Phew! Let’s now cool off with some refreshing homemade lemonade, especially as my lemon tree is over-laden with succulent fruit. Wash lemons, cut in half and squeeze juice into large bowl. Place sugar in bowl and add acids. Cut skins finely and add to bowl, pour boiling water over mixture and stir until sugar is dissolved. Soak for 36 hours. Stir occasionally. Strain and bottle. Keep in fridge.